Dr. Elbie Loeb and his wife Ada at the “C” You In The Major Leagues Donor Appreciation Event/Christmas party in December 2017. You’ve been a “C” You In The Major Leagues supporter since 2015, when the foundation was still relatively young. What made you want to get involved? Dr. Elbie Loeb: I previously volunteered for Operation Breakthrough, working with inner city preschool children — I think that this organization is a continuation in helping to lift the children from poverty. I know it helps their self-esteem in building athletics skills and enhances their character. EL: It reaches the youth of Kansas City. Providing them an opportunity to develop baseball and leadership skills. Why is the work that CYITML does important in this community? EL: It reaches to the youth at several levels, particularly those in the inner city who do not have other opportunities. Of course, since you’re a Royals fan, what’s your favorite Royals memory? EL: Eric Hosmer scoring from third base during The World Series in 2015. I think that tied the game, leading to the victory over the Mets. EL: I envision a future when these children will become young adults with success and confidence as their foundation. EL: The organization reaches down to lift up the youth of our community from poverty. We can accomplish this at a local level that has never been achieved before. 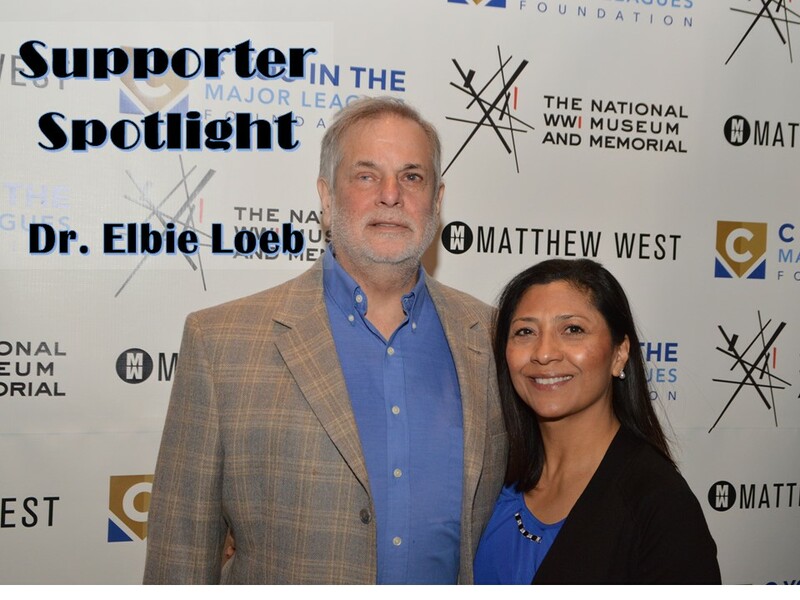 “Supporter Spotlight” will run periodically throughout the year. It’s a chance to highlight the people — donors, volunteers — who are making a difference in the Kansas City community through “C” You In The Major Leagues.